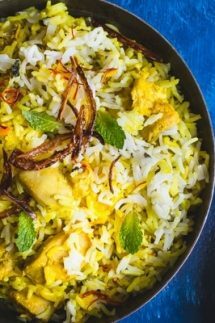 My Easy Chicken Biryani is an Indian layered rice dish that is made with rice, spices, and usually meat. This version is made by layering partly cooked basmati rice with chicken marinaded in spiced yoghurt and topped with crispy fried onions. 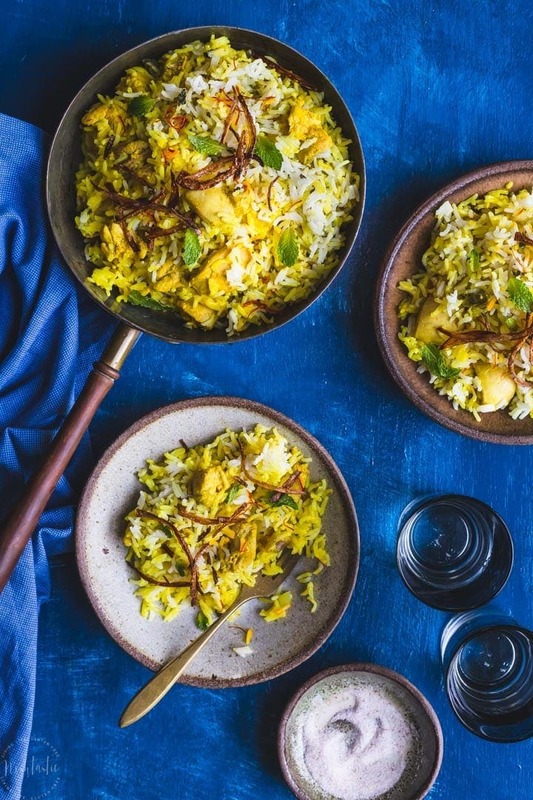 Biryani is a wonderfully aromatic and flavorful rice dish that hails from India, there’s some debate as to it’s exact origins and you know I’m not even going to attempt to wade into that argument! 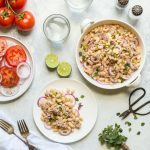 What I can tell you is that it’s an extremely popular dish back home in the UK and is found on the menu of all of the most popular Indian Restaurants. It’s not flaming chili hot like some other Indian restaurant foods and my children all devoured it without complaint. 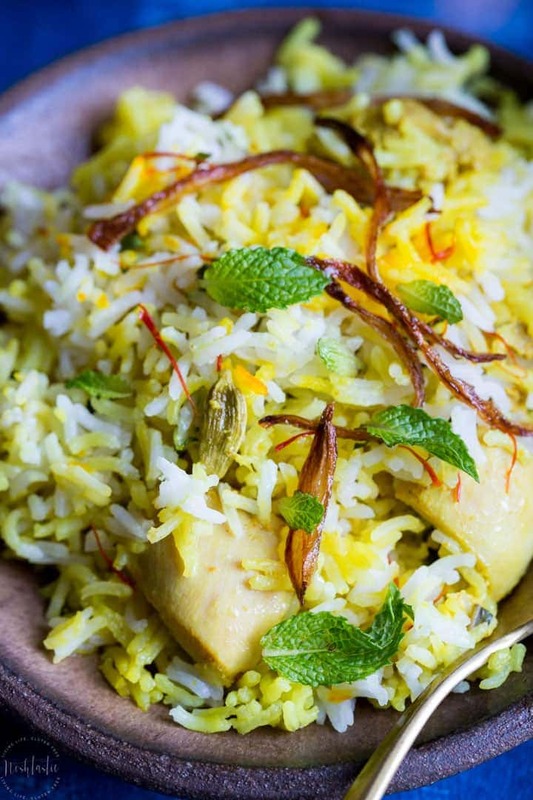 There are various Indian regional versions of Chicken Biryani and the probably the best known outside of India would be the Hyderabadi Biryani, which comes from Hyderabad. The dish is made by layering the partly cooked rice and meat, and then cooking it all together. Biryani is often served with a yoghurt mint and onion mixture, lemon wedges, and sometimes a side salad of onion, carrot, and cucumber. As this is primarily a rice dish with chicken added to it, choosing a good quality Basmati rice is a must. 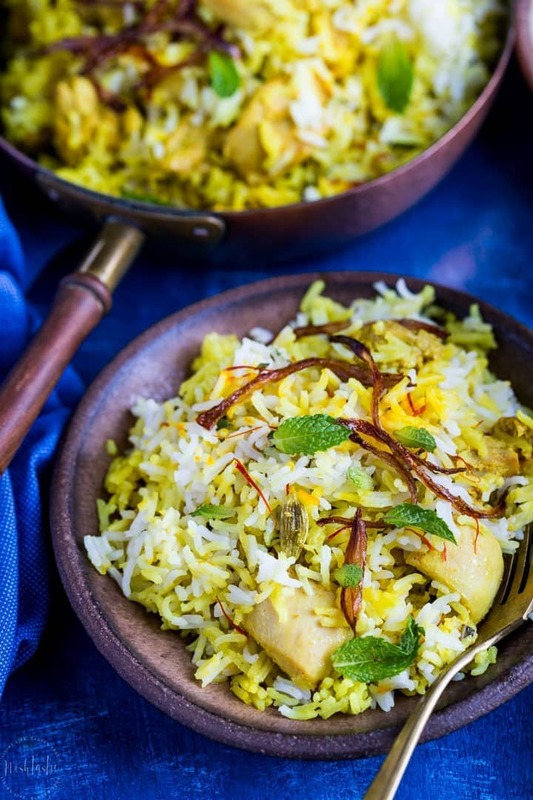 There are various different ways to cook authentic Biryani but I think one of the best is to rinse the starch from the rice first and then part cook it before you layer it and finish cooking. Some recipes require you to fully cook the rice before assembling the dish, but I suspect that will result in the whole thing being overcooked in the end. The first step is to marinate the chicken in the yoghurt and spice mixture and put it in the fridge. While it’s marinating this would be the best time to make the crispy onions for the topping. 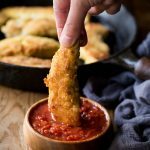 They are optional, but I think they really add something special to the finished dish. The next step is to rinse then part cook the Basmati rice. Make sure you use a timer so that it does not overcook, and then drain the pot. While the rice is cooking, warm the milk and add a pinch of saffron threads, stir a couple of times, and set aside. Then, cook the onions for the main dish until soft (not the ‘crispy’ onions, the other ones!) and add green cardamom pods, cumin seeds, coriander powder, and Jalapenos. Now add the marinated chicken to the onions and spices, add the water, and simmer for about 5 minutes. 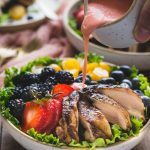 The last step is to take the pan off the heat and simply layer the chicken and part cooked rice along with the remaining ingredients and cook over a low heat until the rice is fully cooked. If you made the crispy onions you can serve it hot with the onions sprinkled over the top. 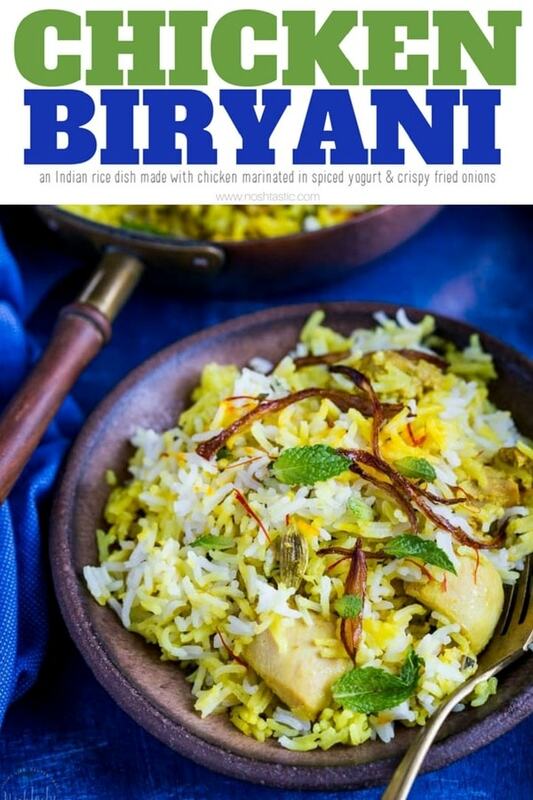 Easy Chicken Biryani made by layering rice, marinated chicken, onions and wonderfully fragrant spices. Healthy and Gluten Free. If you want to make the crispy onions to garnish this dish, it's easier to make them ahead of time. 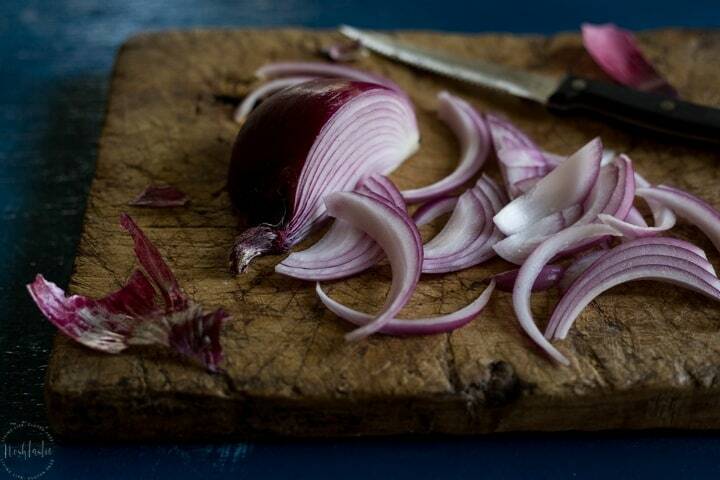 Start by finely evenly slicing the onions very thin using a mandoline or food processor. Pat the onion slices with paper towels to make them a little more dry before you fry them. Now add about an inch of oil to a heavy bottomed pan such as a cast iron skillet and get it to a medium high heat, then add the onions in small batches, don't crowd the pan. Fry them, stirring frequently, for 5-10 minutes, or more, until they start to brown. Then remove them to a plate lined with a paper towel. They continue to brown after you remove them from the oil, so don't wait until they are dark brown. 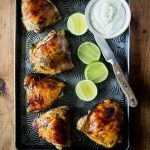 Marinate the chicken in greek yoghurt mixed with turmeric, chilli powder, lemon juice, salt, garlic, ginger. Set aside and marinate for at least 20 minutes or up to overnight. Warm the milk and then add a pinch of saffron threads, stir a couple of times, and set aside. 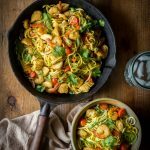 In a large heavy bottomed pan, Add the sliced onion and fry gently in oil until soft for 10-12 minutes over a low-medium heat. While the onions are cooking, rinse the basmati rice in several changes of cold water until the water runs clear and most of the starch is removed. Add the rinsed basmati rice into a large pot of boiling water and bring back to the boil, then simmer, cover and cook for ten minutes, then drain. It will not be fully cooked at this point. Once the onions have cooked for 10 minutes add the green cardamom pods, cumin seeds, coriander powder, and Jalapenos and cook for a few seconds. Add the marinated chicken and salt to the pot with the softened onions, reduce heat to medium and continue cooking the chicken for 3-4 minutes to seal the chicken pieces, add a little more oil if you need to. Lower the heat again, add 1/4 cup (60mls) water and gently simmer with the lid off for 5 minutes. Stir the chicken half way through cooking making sure it doesn’t stick to the bottom of the pan. Take the pan off the heat and scoop out half the chicken and onion mixture. Add half the partly cooked rice over the top of the chicken mixture still in the pan, along with the bay leaf and cinnamon stick. Drizzle on half of the saffron milk, 1/2 tbsp chopped mint, and 1/2 tbsp chopped cilantro leaves. layer again with the remaining chicken and onion mixture, the rest of the rice, 1/2 tbsp chopped mint, and 1/2 tbsp chopped cilantro leaves, and the rest of the saffron milk. Put the pan back on a very low heat (lid on) for 6 minutes. Do not lift the lid during this time or the rice and chicken may not cook fully. Once the cook time is up, turn the heat off under the pan and leave the lid on for 10 minutes, then serve hot. NUTRITION FACTS - do not include the oil and onions for the crispy onions added to the top of the finished dish. 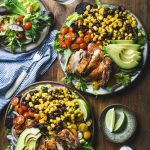 JALAPENO PEPPERS - If you prefer a little more heat, then Serrano peppers would be a good alternative, or you could simply add more Jalapeno Peppers instead.